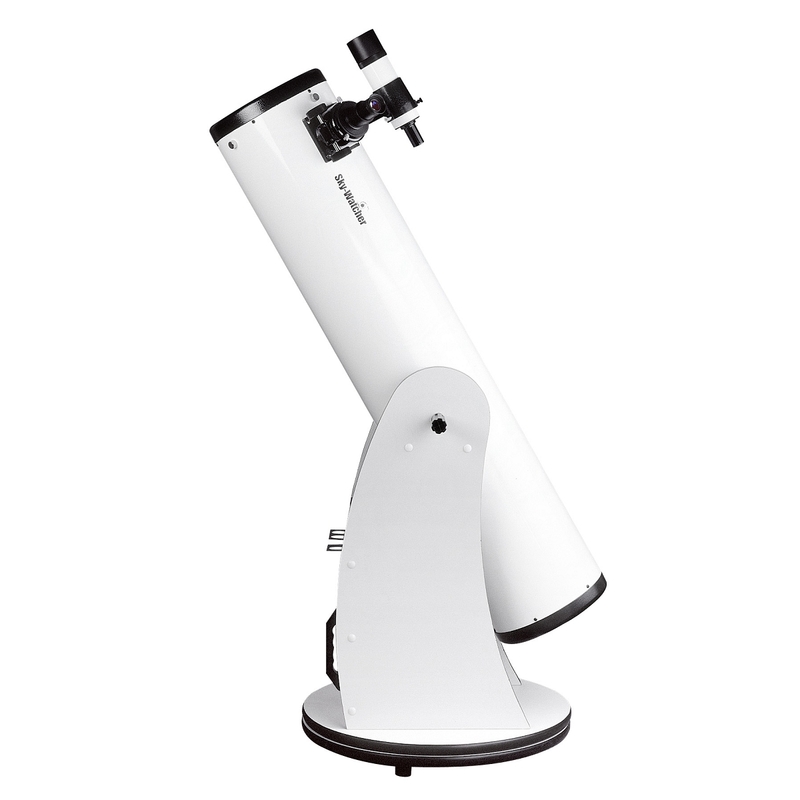 Sporting the large light bucket users have come to expect from a Dobsonian, the Sky-Watcher 8" f/5.9 Traditional Dobsonian Telescope gives users performance at a reasonable price. Its large parabolic primary mirror is highly reflective and corrects spherical aberration to eliminate distortion across the entire field of view, especially at the edges. The four-arm secondary mirror bracket is made with 0.5mm thick fine supports to reduce light loss and diffraction spikes. 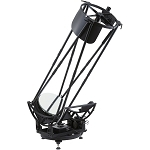 The large 8" aperture draws in copious amounts of light to make detailed observations of the Moon and planets, and still reach out past our solar system to discover dim deep-sky subjects. 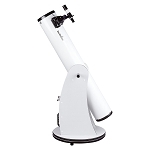 Its f/5.9 focal ratio and Crayford focuser makes this an ideal choice for imaging. Its relatively fast focal ratio enables devices to capture images in less time than slower scopes, while the unique focusing mechanism employed in the Crayford-style gives it the ability to achieve tack-sharp focusing with zero back-lash that rack-and-pinion focusers generally are unable to. 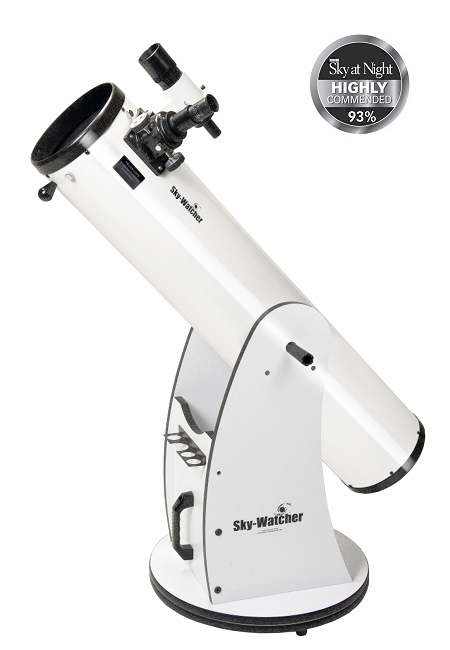 This 2" focuser will accept larger eyepieces so users can enjoy a truly immersive visual experience, and a 1.25" adapter is included to enable the use of the more common size eyepieces and accessories. The heavy base weighs in at 25 pounds and provides a rock-steady platform with very low vibrations. This alt-az rocker mount features Teflon azimuth bearings and a tension clutch on altitude axis. Finally, the tension control handle allows users to adjust the settings allowing them to move the mount easily and smoothly by hand with minimal vibration and maintain its position when released. Box Dimensions (LxWxH) 49.0 x 26.0 x 17.0"